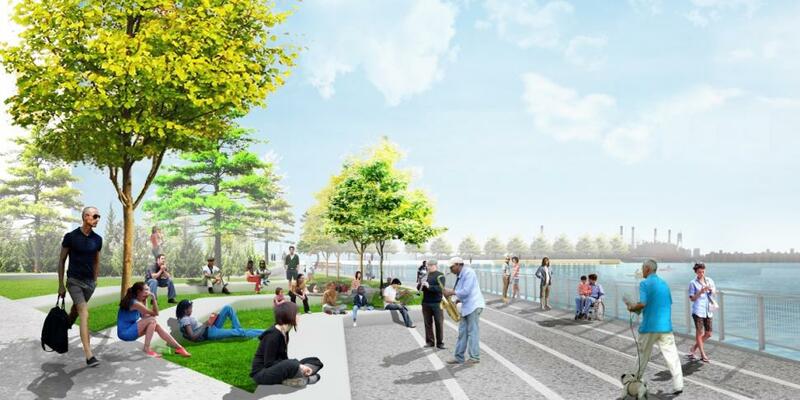 Renderings for the waterfront park to be built alongside the massive housing development Greenpoint Landing have been released. 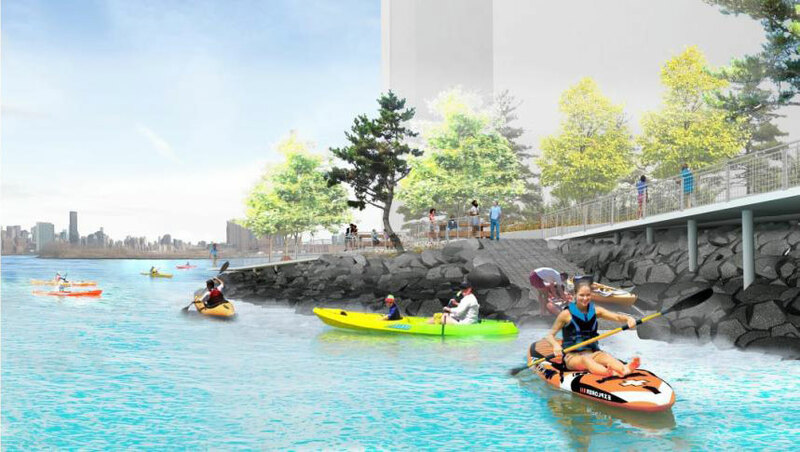 Flooding from Hurricane Sandy ravaged the area only a few years back, so it comes as no surprise that the local community was concerned with how the developers were going to address the possibility of damaging storm swells in the future. Despite their concerns the park’s designer James Corner Field Operations has used intelligent design and beautiful landscaping to enhance the structural integrity and aesthetic appeal of the existing riverfront. James Corner Field Operations is also responsible for the landscape architecture of the High Line, and their experience in the field is apparent. 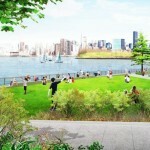 The new park will feature sloping, split-level terraces and salt-tolerant greenery that will absorb water. 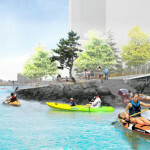 The split-level terracing will also elevate the ridge well above FEMA regulations, and at the same time make it easy for visitors to access the river via kayak. 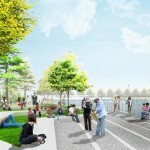 The developer plans to construct the park in stages alongside the residential project. When complete, Greenpoint Landing will host 5,500 residential units across ten new towers, about 1,400 of which will be affordable. The company broke ground on the first of the buildings located at 21 Commercial Street this past summer, and the second phase will commence next year. Although the project is not expected to be finished for another eight to ten years, we’re still excited to see what’s down the road. And based on these renderings we have plenty to look forward to.